We live in a fast paced world, and families need time to relax, be present and connect with each other. This class is for families with children from 4 years old and older. 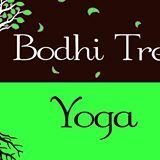 Family yoga classes are structured like kids yoga classes with emphasis on interactive and partner poses for kids and adults to do together. We’ll do age-appropriate yoga poses, breathing, movement games, and relaxation. No yoga experience required. Poses and games in this class are most appropriate for children ages 4-12, but younger and older siblings are welcome. Advanced Registration is requested for this class..
Summer Break Yoga Mini Camp for children ages 6-12. Research has demonstrated that yoga and mindfulness activities can have a positive effect on children’s self-esteem, physical fitness, academic achievement and their ability to cope with stress and anxiety. During this camp, children will learn a variety of yoga poses and breathing techniques, practice mindfulness activities, and participate in interactive and cooperative games. The focus is on developmentally appropriate and safe practices while having fun! Children bring home handouts with exercises they can use at home and teach to members of their families. Class size is limited to 10 participants. Please bring a water bottle and small snack. Mats are provided. Advanced Registration is Required! Please email Sandi or call the studio (585-355-2487) to reserve your spot. Any questions about the class please email Sandi or call her directly at 585-975-9886. 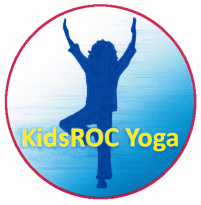 Spring Break Mini Yoga Camp for children ages 6-12. Exploring Your World- Inside and Out! Research has demonstrated that yoga and mindfulness activities can have a positive effect on children’s self-esteem, physical fitness, academic achievement and their ability to cope with stress and anxiety. During this camp, children will learn a variety of yoga poses and breathing techniques, practice mindfulness activities, and participate in interactive and cooperative games. The focus is on developmentally appropriate and safe practices while having fun! Children will bring home handouts with exercises they can use at home and teach to members of their families. Class size is limited to 10 participants. Please bring a water bottle and small snack. Advanced Registration is Required. Please email Sandi or call the studio (585-355-2487) to reserve your spot. Yoga Ed’s Tools for Teachers is a nationally recognized, cost effective program designed to improve and enhance student behavior, health and academic achievement. Yoga Ed. Tools for Teachers offers simple, yoga-based exercises and activities that enhance mind-body health, learning, responsible behavior and academic achievement. By giving students fun ways to move, stretch, unwind and center themselves, Yoga Tools support fitness, learning readiness, social/emotional growth and nutrition awareness. Teachers learn how to use yoga-based activities to support and center themselves as well as create calm, focus, and optimal learning readiness in their classroom. Tools for Teachers manuals are available at an additional cost. This program is available for Pre-K and K-5 school settings.